If you intend to power a laptop computer with this panel, you will need additional items. You will need: An auto/car adaptor to up convert the 12 volt output of this panel to the voltage that your laptop requires(check with your computer manufacturer), a solar controller with the correct hookups(GS12v7A), a small battery to act as a buffer to ‘clean up’ the power from the panel, and a female lighter adapter that connects to the battery. If you are unsure, call before you buy! 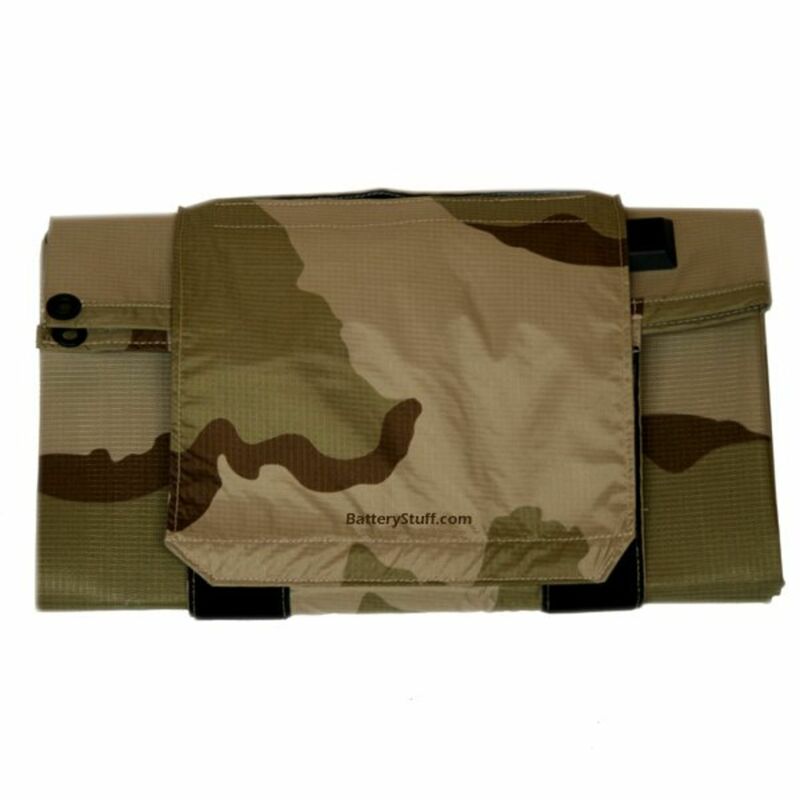 The P3-75W 18047 is a Military grade Solar Charger derived from years of supporting troops in the battlefield. The P3-75 has been tested to the MIL-STD-810G series of tests and has been approved for deployment in austere operating environments. At 40w/pound, the P3-75 enables manpack applications requiring lightweight, flexible, and reliable power. The P3 Portable Power Pack is used worldwide to provide users an alternate power generator for charging lead-acid, Nickel Cadmium (NiCd), Nickel-Metal-Hydride (NiMH) and Lithium Ion rechargeable batteries. The P3 will enable extended missions, provide energy security, restore power silently and can provide power for remote, portable surveillance equipment. Twice the power to weight ratio of alternative solar generators, the P3 is ideal for situations requiring power renewal to batteries and mobile electronics. The P3 Portable Power Pack folds for easy transport and storage. 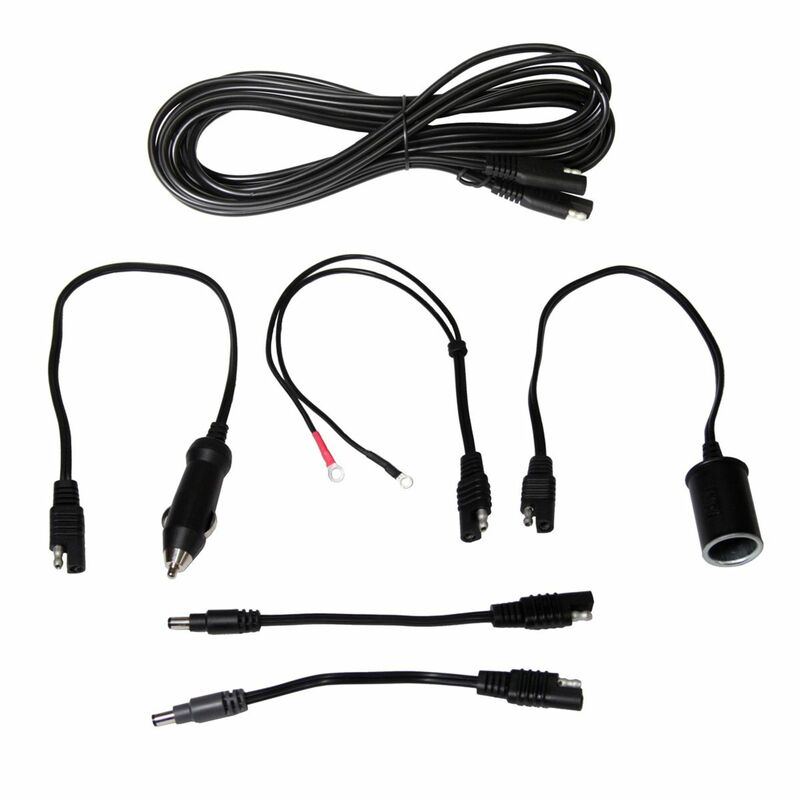 Accessories Included: 12.5ft SAE to SAE Extention Cable, SAE to Ring Connection, SAE to FCLA Receptacle, SAE to MCLA, SAE to 2.5mmID x 5.5mmOD BARREL PLUG , and SAE to 2.1mmID x 5.5mmOD BARREL PLUG. 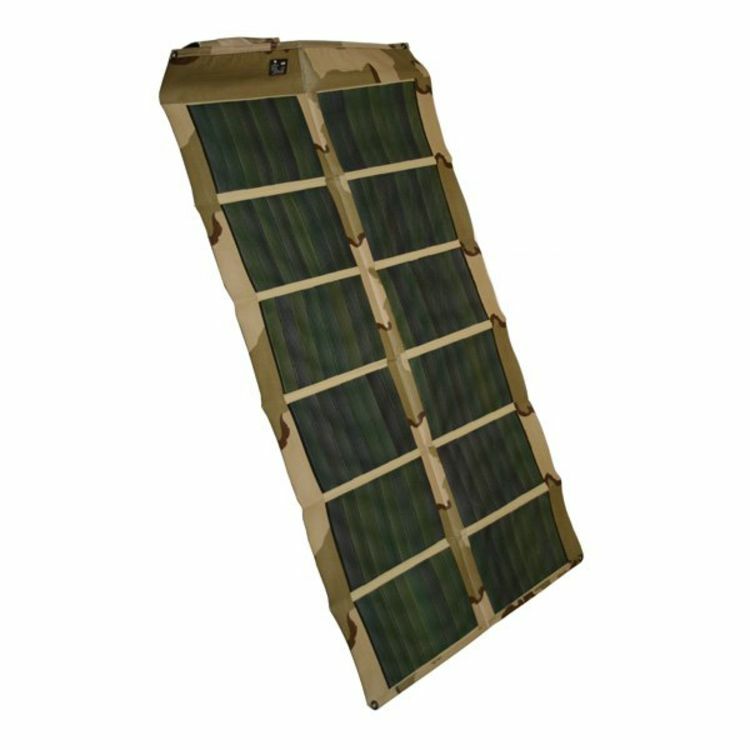 Attention Buyers: This foldable solar panel is rated to power 12 volt electronic devices; the electronic devices you wish to use may require adapters and other hardware to function properly. Please contact one of our tech people with your equipment specifications if you are uncertain about the application. P3 Solar®'s Portable Power Packs are lightweight, foldable power sources for rugged, self-sustaining power. These military grade units use non-silicon based, CIGS (Copper Indium Galium di-Selinide) Technology and are made to take a beating. They'll even take a bullet hole and continue to function. CIGS Technology is also used in the space program. Do you own the P3-75W-18047-KIT? Please, tell us what you think about it. It helps us provide you with better products. Please note that it may take up to 72 hours for your review to appear.